Did you know that trees take care of each other and that the whole forest is connected? 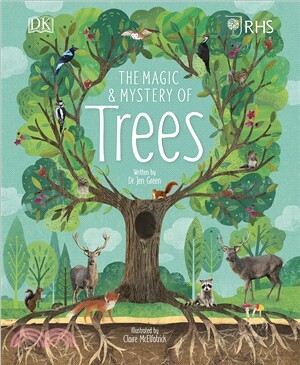 The Magic & Mystery of Trees takes children on a fascinating journey of exploration, showing them just how special these mighty organisms are. Discover how they communicate and warn each other of predators, how they nurture their networks, record the past, and anticipate the future to ensure their survival. Learn amazing tree facts, meet extraordinary trees from around the world and learn about the habitats they create. Find out what trees do for us and how to make your community a greener place by planting your very own tree!